Children’s Medical Office is accepting new patients. Dr. Winterkorn & Dr Poulter currently have full patient panels therefore can not accept any new families at this time. All other providers are open to new patients. See our Provider New Patient Availability chart. 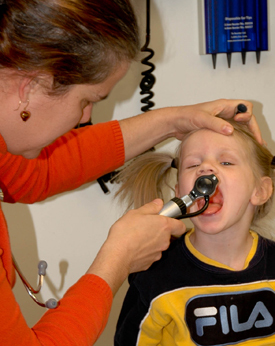 We are committed to outstanding pediatric care! We ask that our patients use ONLY Children’s Hospital Boston and Mass General Hospital for Children for all emergency care and routine specialist care. The only exception to this is if your child is transported to a local hospital by ambulance. We are admitting attendings at both of the Boston pediatric hospitals and will be able to direct your child’s care at those institutions. The use of these hospitals is fundamental to our care philosophy. If you do not think that you will be able to travel to Boston for emergency care, we may not be the practice for you. When you call our office to join our practice, you may create a MyChart account. If you are transferring your children to our practice please obtain their prior medical records before their first visit to our office. To do this simply contact your current provider and request that the medical records be sent to us. Please use our Medical Release Form.